Mou-shee, moh-kee, or moh-ji – how the heck do you say it? 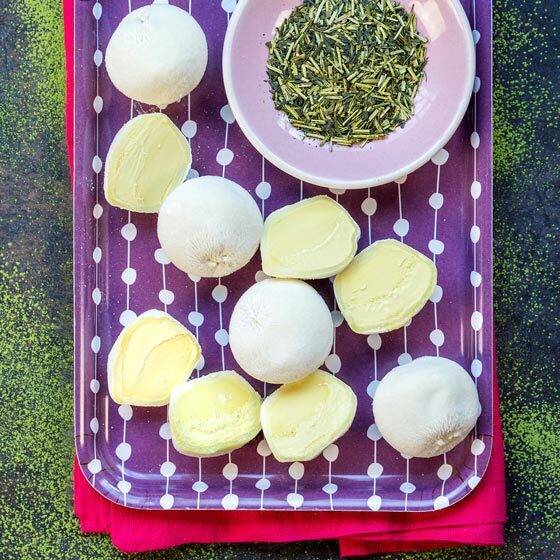 Sure, it’s a little weird (let’s face it – dough and ice cream is weird), but let’s dig into the details of this seriously, strangely satisfying snack to fully understand mochi pronunciation. Mochi has a looooong history in Japanese culture (rewind to 1,200 years ago) and was once considered sacred. Can we get a hallelujah? The ooey, gooeyness of mochi is thanks to a sticky rice called “mochigome.” The old-school way of making mochi is by pounding this glutinous rice into a paste, then molding it into different shapes and sizes. Arts and crafts, anyone? Not all mochi is created equal. Aside from mochi ice cream, did you know that mochi can be eaten with seaweed, vegetable and seafood and can be sautéed, grilled or baked? Mind. Blown. In conclusion, these pillowy balls of goodness – correctly pronounced as “moh-chee” — are so much more. Respect the balls!